The Fine Art Dealers Association (FADA) has named Steve Hartman, from Cleveland-based Contessa Gallery, as the new President of the Board of Directors. He will be focused on curating a new vision and expanding benefits of membership for the 27 year old organization. (June 22, 2017—Los Angeles, CA) The Fine Art Dealers Association (FADA) has named Steve Hartman, from Cleveland-based Contessa Gallery, as the new President of the Board of Directors. He will be focused on curating a new vision and expanding benefits of membership for the 27 year old organization. “It is a very significant opportunity,” says Mr. Hartman, “I have been a participating member of the fine arts community for decades, and now I have the platform to continue to promote the highest degree of professionalism, scholarship and integrity within this industry.” Hartman takes over leadership from Betina Tasende of La Jolla-based Tasende Gallery. "I'm thrilled to execute FADA's transition to a global art network under Steve's capable leadership.”, stated Jane Glassman, Executive Director of FADA. Steve Hartman began collecting art at the age of twenty, and founded Contessa Gallery in 1999 after a successful career as an investment advisor and Vice-President of UBS / PaineWebber. He has received numerous art industry accolades. Hartman has also served as a board member of several charitable organizations and privately held companies, as well as a recipient of Crain’s Cleveland Business’ prestigious “40 under 40” award. He is an avid sports fan and consumer of the cultural arts. Hartman is a University of Michigan graduate, and a graduate of the Wexner Leadership Development Program. For additional information, please visit www.FADA.org. Media inquiries, please contact David Koizumi via email at [email protected] or 323-937-5488. FADA is dedicated to promoting the highest degree of professionalism, scholarship and integrity and to offering an expansive inventory of quality artworks whose authenticity is carefully researched. Member Galleries are located in cities around the U.S. – some with locations abroad. Collectors at every level can resource any genre and medium from FADA’s Trusted Gallery Network of expert, encyclopedic dealers. Over the years, FADA has partnered with other entities promoting scholarship within the art community. 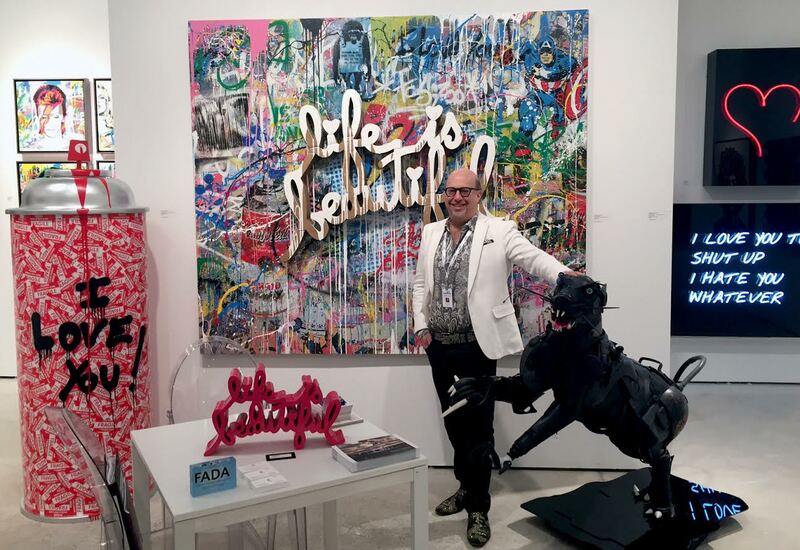 FADA was founded in 1990 and was the creator and overseer of the Los Angeles Art Show for 17 years and applied the same principles to this annual encyclopedic art fair which grew to become the largest and best attended in the western US.